nj arts maven: SUMMER INTENSIVES FOR TEENS IN RED BANK: REGISTER NOW! 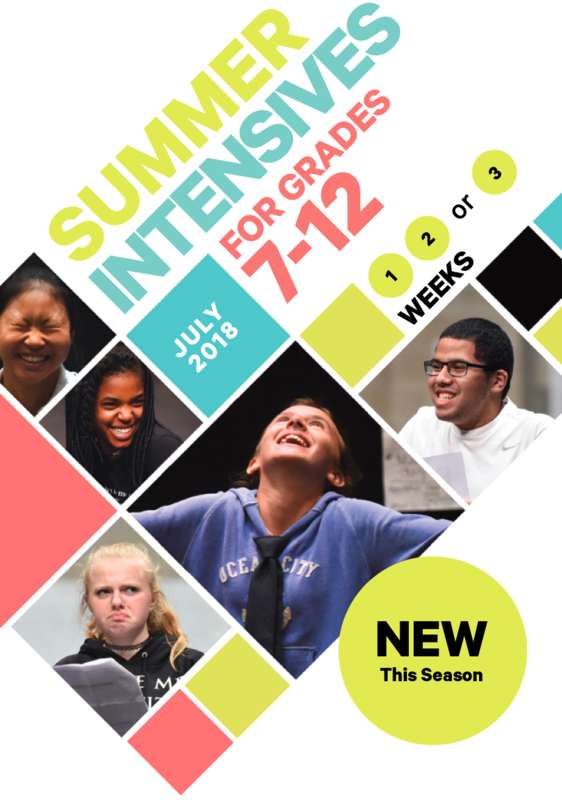 SUMMER INTENSIVES FOR TEENS IN RED BANK: REGISTER NOW! Led by a professional Director, Musical Director, and guest teaching artists, students will spend the week working on a collection of songs, scenes, dances, original material, movement pieces, and poetry, to be performed on our main stage every Friday night. Led by a professional Technical Director, Assistant TD, and guest teaching artists, students will paint flats, create costume pieces, learn about lighting and sound, and make props - whatever it takes to build the world of the show to be performed every Friday night. WHEN: Week 1: July 9-13; Week 2: July 16-20; Week 3: July 23-27; Monday–Friday 9:00AM–4:00PM. TUITION: $475 per week; Discounts for multiple weeks. Scholarships available. Scan and email to SummerCamp@trtc.org (if paying by credit card). Mail with payment to: Two River Theater, 21 Bridge Avenue, Red Bank, NJ, 07701 Attn: Summer Intensives.